"These classic diner-style hash browns are crispy on the outside and fluffy on the inside." 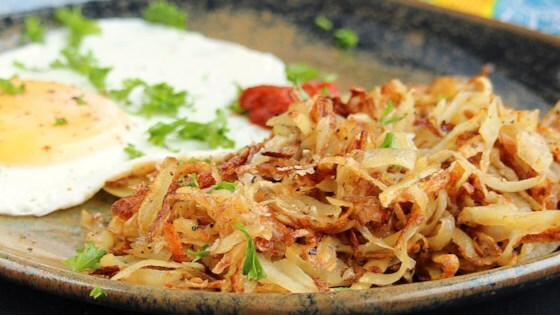 Chef John shows you how to make diner-style hash browns with a perfect crust. I cooked them longer than the recipe calls for because i like my hash browns crunchy. Easy and very good. Worked perfect, rinsing out the starch made all the diference. Thank you for the great recipe!